Whether it be an ear piercing, your nostril or any other piercing... we are here for you. 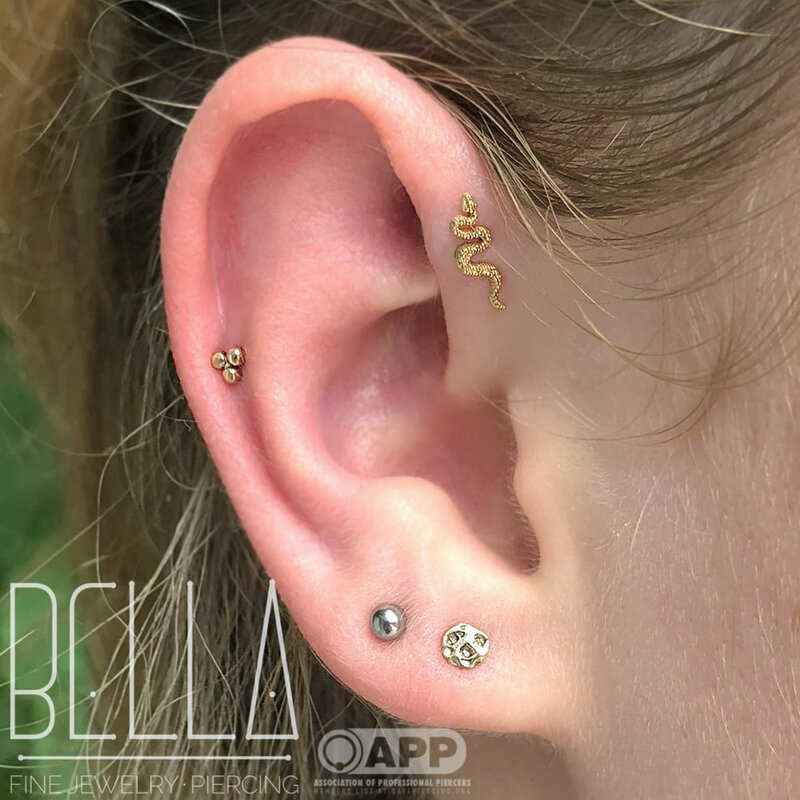 Bella Fine Jewelry and Piercing is dedicated to making sure we have only the highest-quality, implant-grade jewelry. Our entire piercing staff are proud members of the Association of Professional Piercers. Please stop in and experience the most professional and friendly piercing studio Asheville has to offer.